Gooooood Morning, Lacquerbeanz! 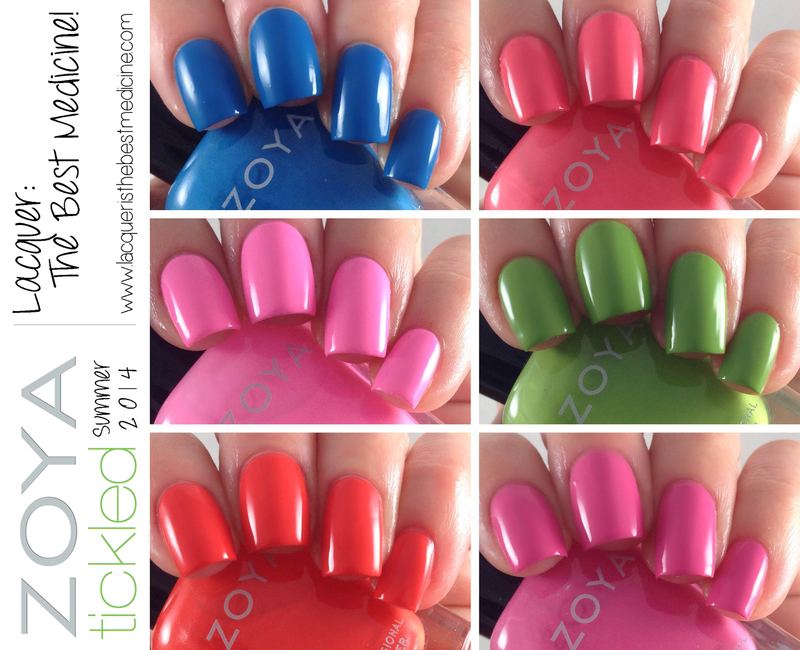 Today I have an absolutely beautiful collection to show you -- Zoya's Tickled Collection for Summer 2014! This collection consists of six pigment-packed, full coverage cremes with absolutely spectacular formulae. All swatches in this post are topped with Glisten & Glow HK Girl top coat. Wendy is my favorite from this collection. 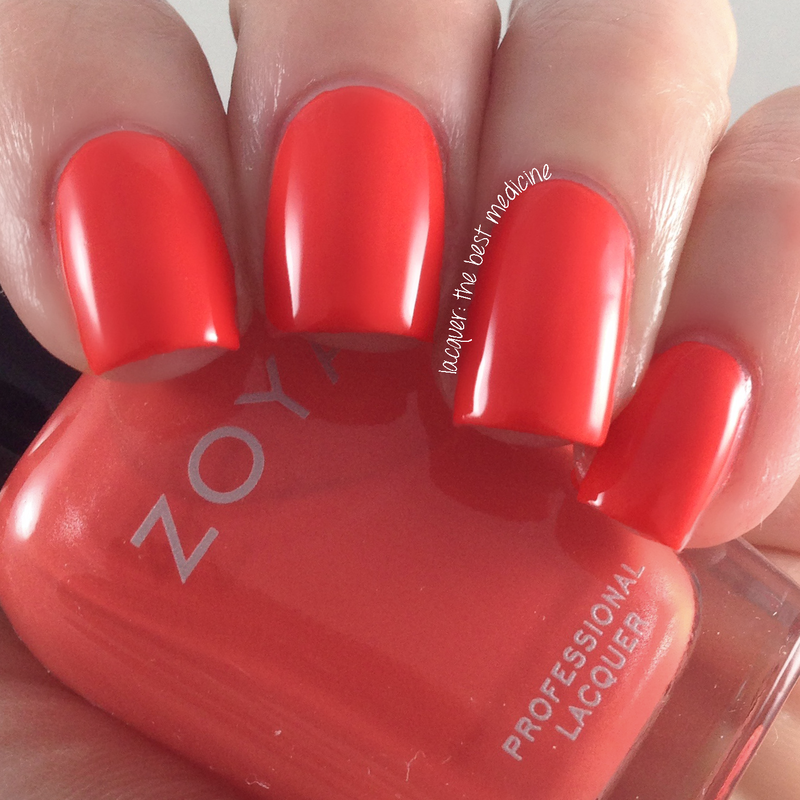 It's a juicy summer melon-toned coral polish and application was flawless. Perfect in two coats! Ling is a vibrant royal blue creme. It looks much dustier in the bottle, but the color really comes out on the nail! The formula has a great consistency, and it was very easy to control during application. I used two coats for my swatches to cover my visible nail line, but it's possibly you can get away with one coat if you have shorter nails. Kitridge (interesting name) is your classic summery bubblegum pink creme. The first coat was streaky, but the second coat evened most of that out. I added a third coat for good measure! =P If you have very good application skills, you can certainly get away with two coats for this one. 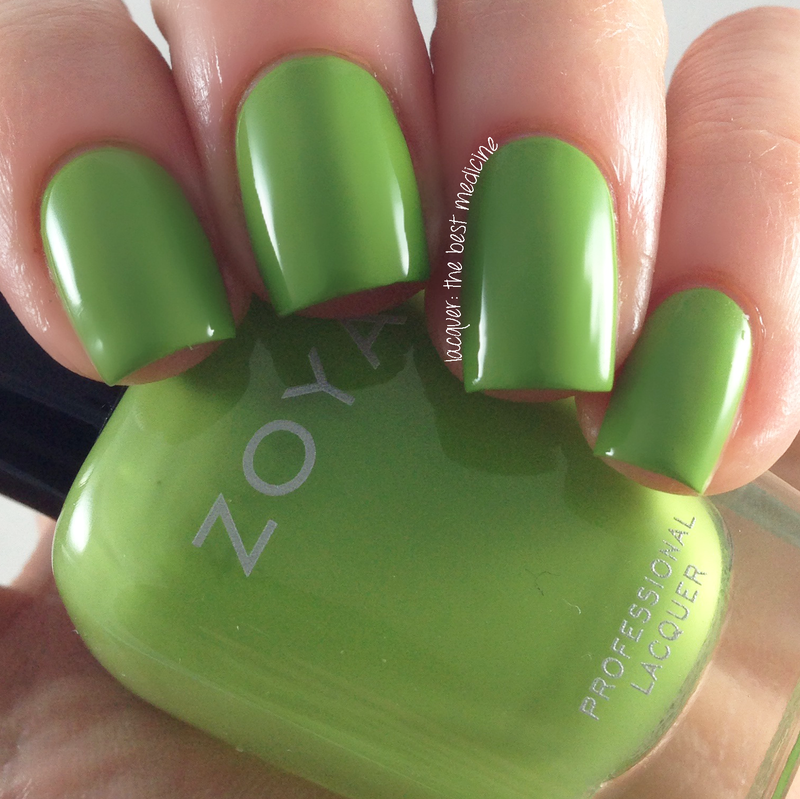 Tilda is described by Zoya as a warm mantis green, but all I can think of when I look at it is a granny smith apple! As with Ling, I like the color of this polish much better on the nail than in the bottle. It really brightens up on the nail. The first coat was a bit streaky, but a thick second coat evened that out very nicely. 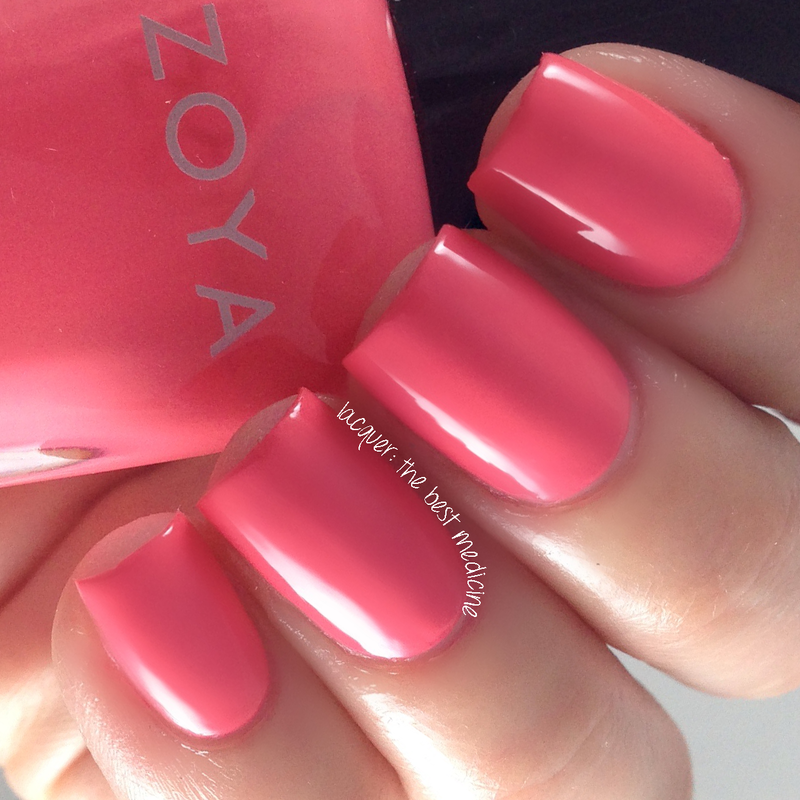 Rooney is a creamy mid-range magenta pink with balanced undertones. To me, this one looked like it was going to be a one-coater in the bottle... but I ended up needing 2 coats to even everything out on the nail. It also looks dustier to me once you see it on the nail (but still beautiful!). 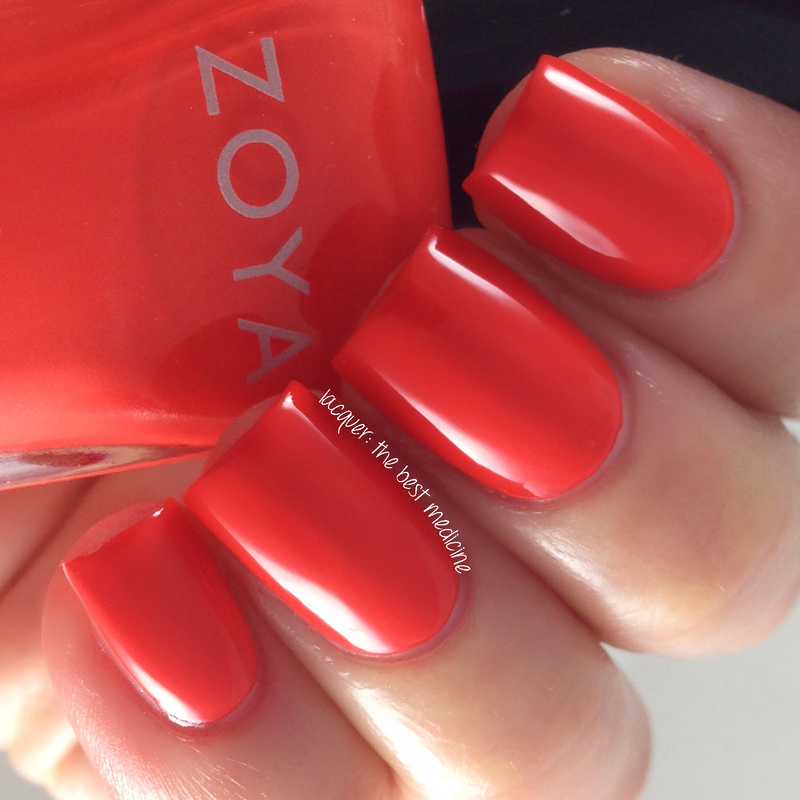 Finally, we have Rocha -- a classic folly red creme with warm undertones. Although you cannot see it in my swatches, there is lots of shimmer in this polish that becomes even more visible if you use topcoat. Trust me, it's there and it's pretty! 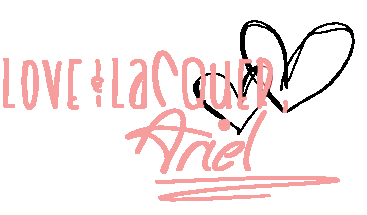 =) I used two coats for a darker look, but this one definitely can be a one-coater. What do you think? I am so SO happy with this collection. Each color is unique and perfect for summer! 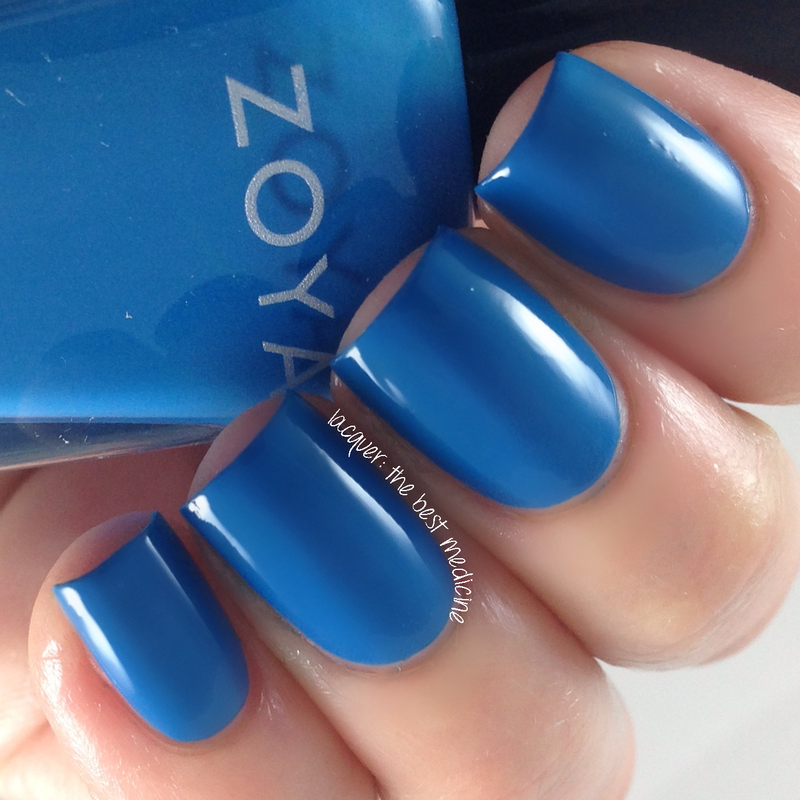 This collection is available now at Zoya.com, which individual polishes retailing at $9/bottle. I really like this collection because the cremes are perfect for the season right now. Kitridge is the perfect pink!